Situated bordering an orange orchard between Portimao and close to Silves. Faro airport can be reached within 40 minutes by car, Portimao within 10 minutes by car, Lagos on 20 minutes by car. Within 15 minutes you can reach several beaches. Silves is a city and a municipality in the Algarve. The municipality has a total surface of 679 km2 and counted approx. 35.000 inhabitants in 2005. The city itself counts approx. 12.000 inhabitants and is located right next to the River Arade. Silves is an an old fortified city. The fortress rises high above the city. The city reached flourished under the Moorish dominion and was then called Xelb. The city formed an important economical and cultural centre and counted about 30.000 inhabitants. In 1189 the city was re-conquered from the Moorish. Nowadays the fortress is an important tourist attraction tourist as well as sailing the old commercial route on the River Arade to Portimao. The beaches with its water sport possibilities can be reached within 15 minutes. 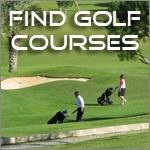 Within a 30 minutes drive you can choose from ten golf courses. Also you can choose from a wide variety of excursions like scuba-diving, dolphin excursions, bike trips, jeep safari’s etc. For further information, call + 31.30.23.045.30 or fill in the information form and we will contact you as soon as possible. Lagos Parque Lagos Parque Total size of the ground 86,580 m2 To be built: 24,400 m2 Infrastructure 11,360 m2 114 entities 6 floors. More info needed? Click on the picture. Chao das Donas Chao das Donas Area: 18.070 m2 To be built: 13.191 m2 Number of plots: 34 varying from 202m2 to 921m2. More info needed? Click on the picture. Urbanizacao Falfeira Urbanizacao Falfeira Total Area: 65.840 m2 To be built: 19.500 m2 Number of plots: 17. More info needed? Click on the picture. Urbanizacao Montes dos Laranjais Urbanizacao Montes dos Laranjais Total Area: 15.820 m2 To be built: 4.532 m2 Number of plots: 9. More info needed? Click on the picture. Montes dos Laranjais Silves Casa 2 Price € 650,000,00 purchaser Type of object: Villa number of rooms year of construction: Availability: to be discussed. Click on the picture. Montes dos Laranjais Silves Casa 5 Price € 650,000,00 Type of object: Villa Area Number of rooms Year of construction: Availability: to be discussed. More info needed? Click on the picture. Searching for an investment in the Algarve? Searching for an appartment in the Algarve? Searching for a public building in the Algarve?